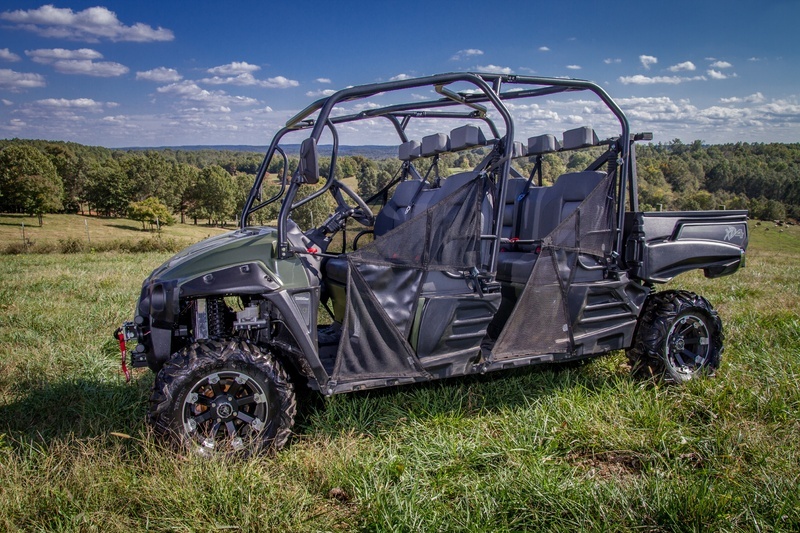 How Intimidator UTV Is Making A Lasting Impression On The UTV Industry | Intimidator Inc.
UTVs have been around for decades, so what makes Intimidator so special? That's a pretty loaded question, but one easily answered. There have been many changes in the side by side industry over the years, and aside from just basic safety improvements, Intimidator takes pride in providing a machine to withstand the test of time. These machines are built to last, and do all the dirty work. They are work horses that lead the industry in payload and hauling capacity. Intimidator isn't just all about work though, they like to have fun too. They are made to get into and out of tight places, muddy places, high places, low places...you get the picture. Aside from work and play, they are completely customizable. They can be fitted with custom bumpers, winches, ground plows, snow plows, light bars, speakers, hard tops, enclosed cabs, gun racks, tool boxes, hydraulic beds...the list goes on. Oh, and most of these customizations can be performed by you. What could be better? Have you ever seen an Intimidator in person? Have you been to an Intimidator dealership? Our ever expanding family of what we believe to be the best UTV dealerships in the USA, are easy to locate using our convenient dealer locator. Most of our Intimidator dealers also carry comparable machines from other top brands. We love this. It gives you, the customer, the opportunity to see how our machines size up to the competition. Our durable plastics, American Steel, oversized components, and 'Intimidating' look set us apart immediately. Visit one of our friendly and helpful dealers for side-by-side comparisons of our machine vs. the competition. We are confident you will see what sets us apart and why we are taking the UTV industry by storm and leaving a lasting impression. Not only are our machines superior, but we offer the best in class warranty and some of the best rates available in UTV financing. Often times, our dealers have seasonal specials available as well, so be sure to ask about any current available specials. If you're in the market for a rugged, top of the line, American made, long lasting, hard working, great looking machine...visit a side by side dealership near you, and check out the Intimidator. We can't wait for you to join our family of Intimidator owners. Be sure to download our free Product Catalog here!